Make a gift list. Who are you planning to give presents to for Christmas? Don’t feel bad if you can’t give gifts to everyone you know. You can still show the spirit of generosity and love in many ways aside from giving material things. Set a budget for each person. For each person on your list, decide how much you are willing to spend before looking for the perfect gift. Consider the person’s interests and passion before buying a gift. Remember, a gift doesn’t need to be expensive in order to be special. Know your privileges as a customer. Carefully read the store’s policy particularly when it comes to Returns, Exchanges, and Refunds. Are you planning to shop online? Don’t forget to read the merchant’s policy as well. If you’re going to use a credit card, check your issuer’s provisions. You may be entitled to special perks such as a 90-day return protection, instead of the regular 30-day protection provided by the merchant. Don’t be tempted by store card offers. Many retailers offer special discount cards or privilege cards during the holiday season. Using a store card to purchase can enable you to save a certain percentage off or discount but before signing up, seriously consider if you really need one. Will you be using the store card frequently or will it be a one-time purchase? Will you charge a large amount of purchase to the store card? How much will it cost you to keep your membership active? Although, discount privileges can be enticing, you should read the complete terms and conditions of the merchant. Watch your credit card spending. Do you own a student credit card? Many students today own at least one credit card. Don’t bring your credit card on night outs. 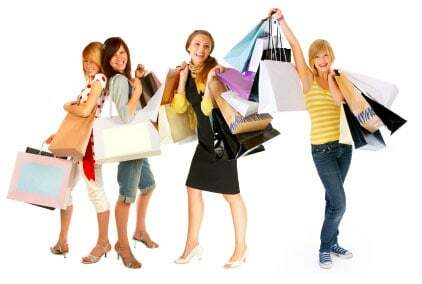 If you want to celebrate the holidays with your friends, set a definite budget that you can spend. Bring cash instead of your credit card. It can be tempting to simply charge holiday expenses to credit. However, this is a very risky habit. You could quickly get stuck in bad debt if you fail to pay off your charges on time. If you want to use your student credit card, decide how much you can afford to pay off. Do your best to pay off your full balance instead just submitting the minimum due payment. Don’t max out your credit limit. Keep in mind that 30% of your credit score is based upon credit utilization. If you can keep your credit card usage minimal or below 30% of your available credit your credit score will be in good shape. Protect yourself against ID theft and fraud. When shopping with a student credit card, don’t let your card out of your sight. When shopping online, make sure that the merchant uses a secured shopping cart and processing system.